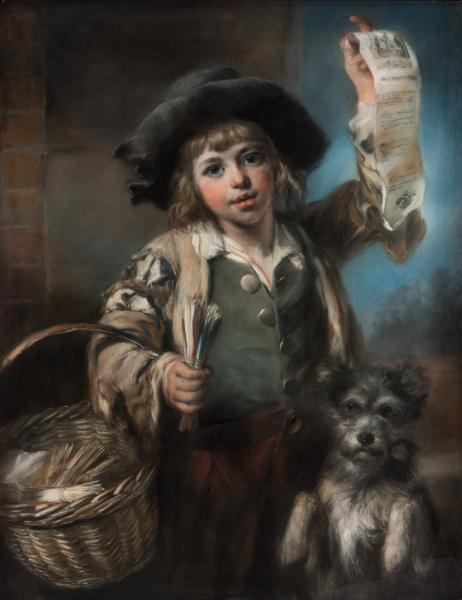 John Russell was a master of pastel, a soft-textured medium whose bright colours were ideal for images of children. 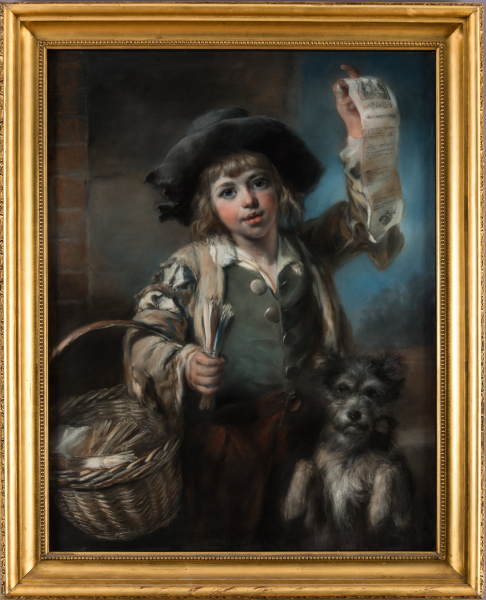 This little match boy with his vivid cheeks, ragged coat and fluffy dog is selling printed ballad sheets and bundles of home-made matches. His large bright eyes, gazing straight at the viewer, are echoed by the eyes of the dog as it begs on its hind legs. One of Russell’s finest works, this was exhibited at the Royal Academy in 1793.